Proudly Conservationist. Uniquely Waterberg. Incomparably Kaingo. Kaingo is a destination of outstanding scenic beauty, an African Eden. 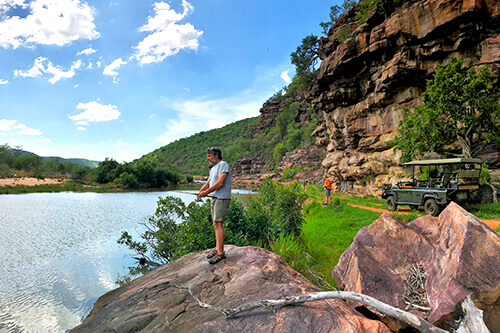 Situated in the Waterberg, 2.5 hours from Johannesburg, Kaingo Game Reserve is the malaria-free safari holiday you’ve been searching for. Accommodating family, friends or business associates, our facilities, coupled with our spectacular location and passion for the environment, make this an unforgettable destination. 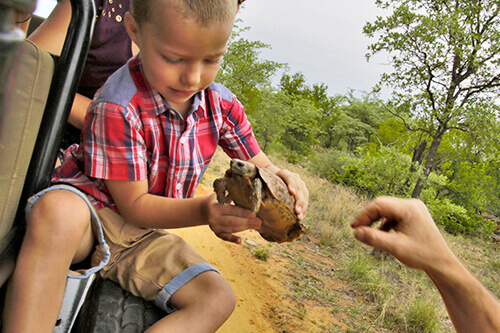 Sweeping across 22,000 acres (9,000 hectares) of bushveld savanna, river, valley and magic mountain landscapes, Kaingo represents a piece of Africa as it used to be with unique wildlife experiences, thrilling activities and picturesque natural assets in abundance. 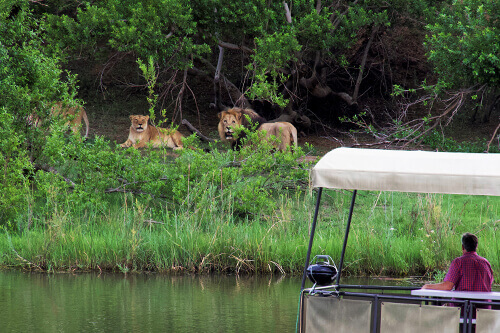 With the mighty Mokolo River weaving through breathtaking landscapes, Kaingo has distilled the finest natural wildlife safari offerings for the enjoyment of our guests. What’s more, it’s all exclusively yours and we tailor a bespoke experience. Kaingo is a private reserve and our dedicated staff members are the only people you’ll encounter on the roads while you’re here. It’s not only the wildlife encounters and nature experiences that are superb at Kaingo – so too is its luxurious safari lodge, with its own unique style, atmosphere and appeal. 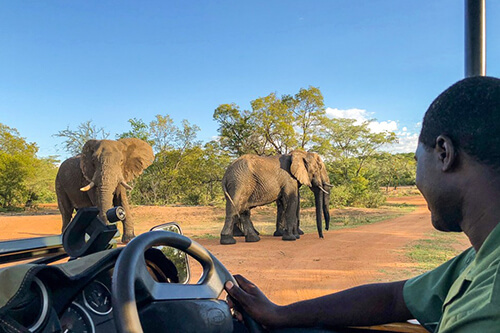 Olde worlde-Africa Kaingo Elephant Lodge welcomes guests from around the globe to experience wild Africa in sumptuous style. At Kaingo you are guaranteed a private and exclusive experience without compare. 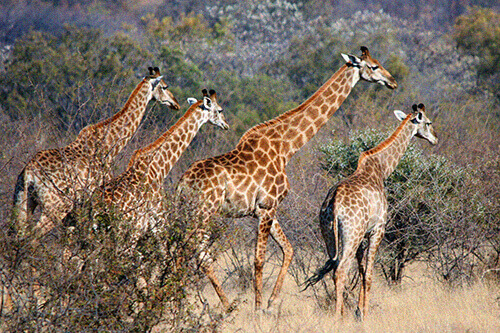 For a truly African safari experience, consider Kaingo Game Reserve as your next destination. Not only do we offer unforgettable views and luxury accommodation, but we also have a host of activities available to ensure an unforgettable experience. 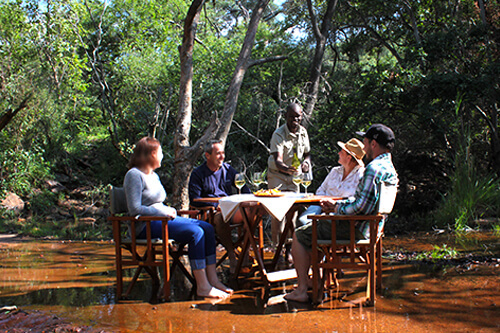 Whether game drive, bush walk, sunset river cruise, or a private dinner for two, there is never enough time to exhaust the many ways there are to love this place. 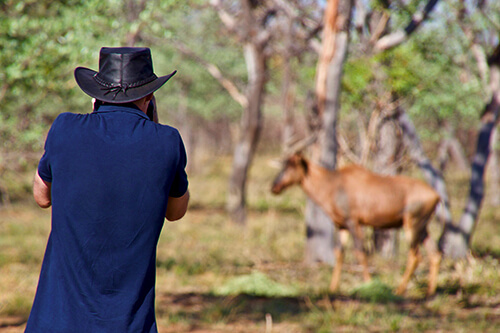 Unique, personal experiences of the bushveld and exciting close-up game viewing under the expert guidance of qualified field guides. Our nature walks offer an intimate encounter with nature and wildlife, as well as medicinal and other plants that are identified en-route. There are several special birds that we are privileged to see here such as African Finfoot, Narina Trogon and Striped Pipet. 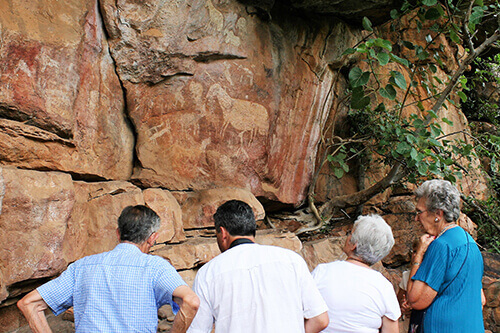 Our rock art sites date back more than 1,000 years and depict the spiritual beliefs and lives of the San, Khoi and the Pedi people. Enjoy the excitement of fishing on the Mokolo River, home to a variety of indigenous fish species as well as hippos and crocodiles. 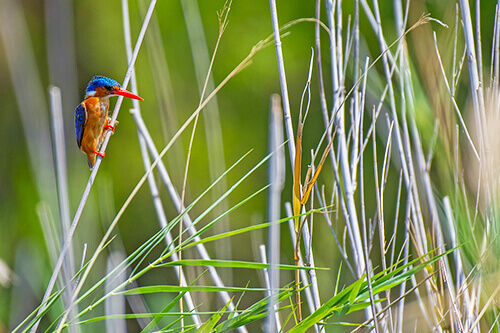 An abundance of bird and animal life makes for exciting game viewing whilst enjoying the peace and tranquility of the Mokolo River.